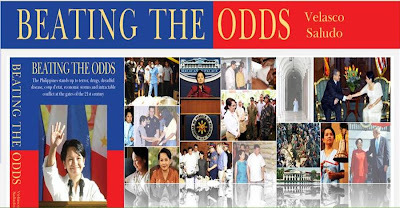 Does our former President Gloria Macapagal-Arroyo a good President/leader or not? Some may say she is, and to some she’s not. If you want to know more about how she ran our government for the past six years and how she handled all those problems and challenges she encountered during her supervision, then it’s high time for us to give her a chance to prove to all of us that despite of the negative things we read and watched in the media about her would be given clarity through this book entitled Beating the Odds by Renato S. Velasco and Ricardo L. Saludo. 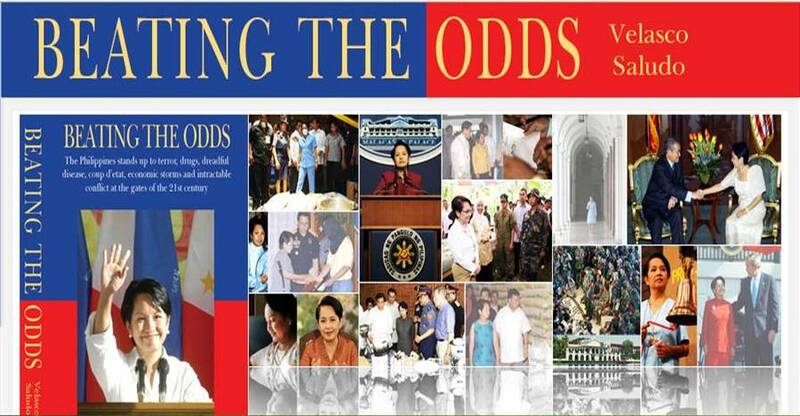 Just an overview of this book, it does not only focus on political battles but it also tackles about Arroyo’s administration on how she was able to impose policies, made decisions and even took actions on the key issues that the Filipino are facing like terrorism, the Mindanao peace process, the drug threat, the global emergence of the Severe Acute Respiratory Syndrome (SARS), an attempted coup d’etat against the government and a hounding budget deficit. It seems that there is really a need for me to buy this kind of book since it tackles one of PGMA’s major concerns about the Mindanao Peace Process. It was stated in there that PGMA was the one who ended that all-out war with the Moro rebels imposing the no ransom, no negotiation stand with terrorist. All in all they claimed that she has brought a greater peace and development to Mindanao. But still I have to check it out through reading the whole chapter 2 of this book. Hoping that all of them are purely facts that in the end I can be proud of that Mindanao is indeed a safety place to go through. Another concern was the budget deficit issue- low revenues plus high debts. I have heard so many depressing comments when it comes to financial stability of our country during her management. We are indeed experiencing a global financial crisis that is why I am hoping that upon reading this book, I could say that she really has brought a great change to the sustainability of our own economy. Indeed, this is a must read book! So, please don’t fail to get a copy of this highly recommended book that will be available in different book stores (Power Books, National Book Store, and Fully Booked) nationwide soon.